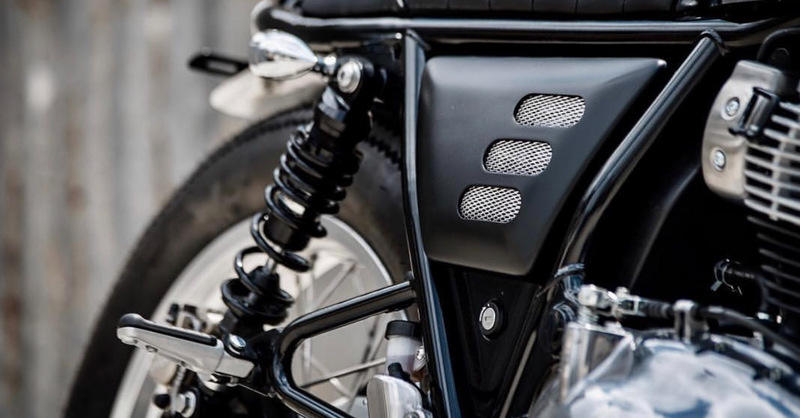 We already have mentioned this in our earlier posts that Royal Enfield motorcycles have a simple design which provides the custom motorcycle builders endless possibilities to experiment. 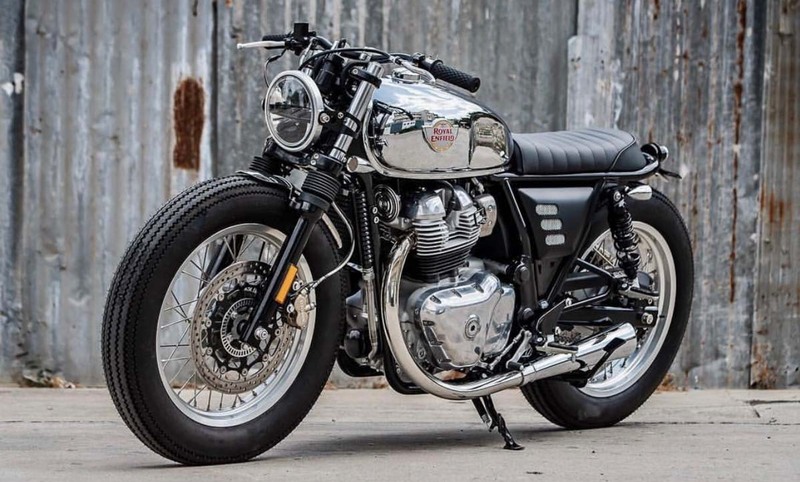 That is also the reason why the custom motorcycle builders eagerly wait to get their hands on a new RE motorcycle whenever they come out fresh from the factory. 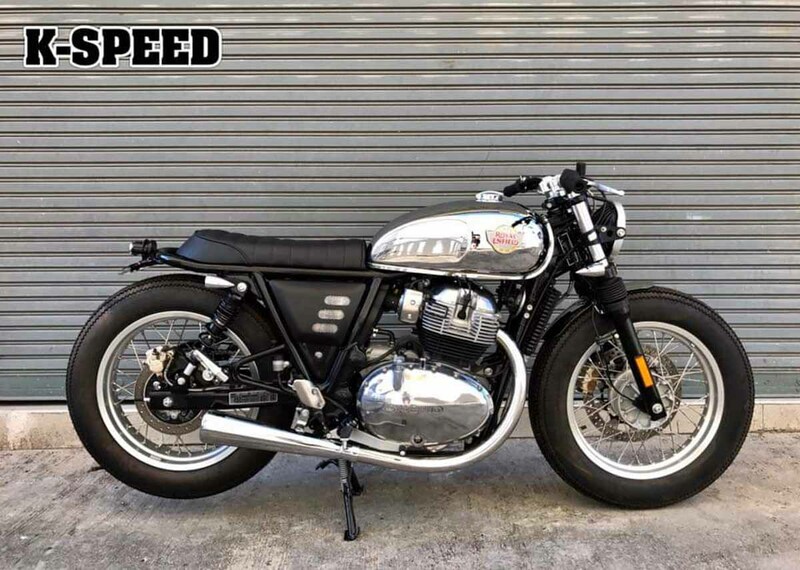 Recently Thailand based custom bike builder K-Speed Customs have worked their magic on the newly launched RE Interceptor 650 and christened it as the Royal Brat. The motorcycle has received plenty of noteworthy changes. To begin with, the custom RE Interceptor 650 gets bigger and fatter tyres. 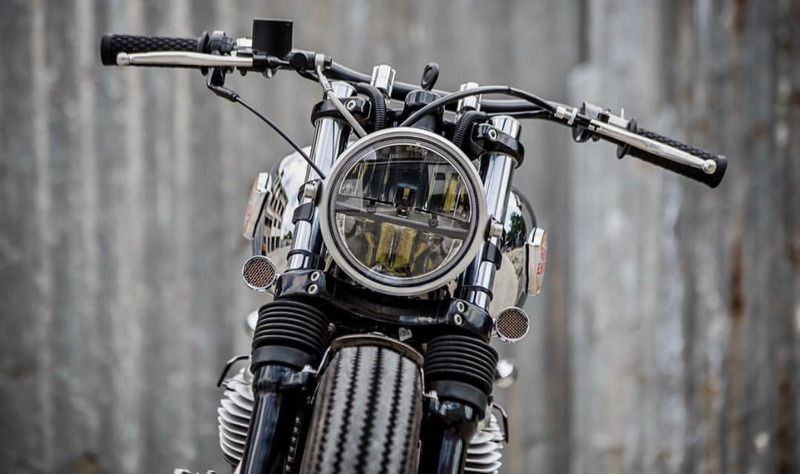 To fit the new aftermarket tyres the custom bike builder has replaced the stock rims with aftermarket multispoke units. 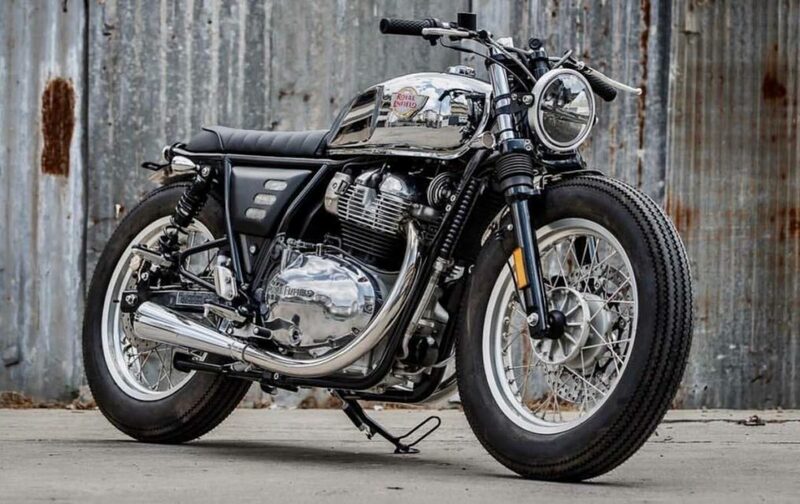 Due to the bigger tyre size, they also removed both the stock front and rear fender and replaced it with a custom made fenders which are shorter and looks sportier than the original units. The company has also tweaked the suspension setup of the motorcycle as well. The telescopic forks at the front get bigger gaiters, while the rear shock absorbers get a shorter journey compared to the standard unit. 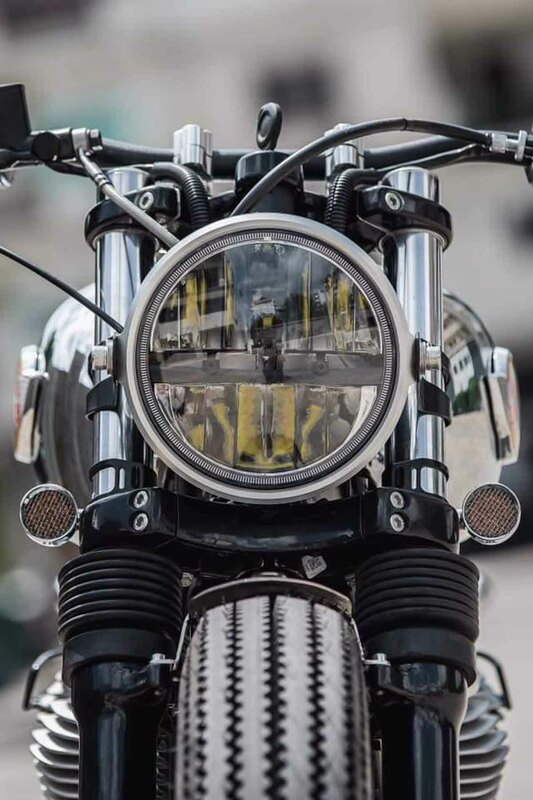 The Royal Brat also features a new round headlamp which is also slightly bigger than the stock headlamp unit. It also gets an aftermarket handlebar that looks short and flat. 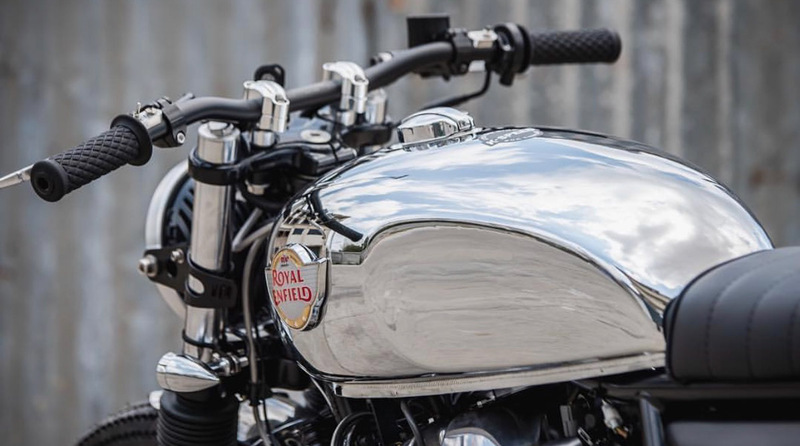 The motorcycle’s fuel tank also gets a shiny chrome treatment which adds an old school charm to the custom motorcycle. The seats too have been replaced with a custom cushioned seat. 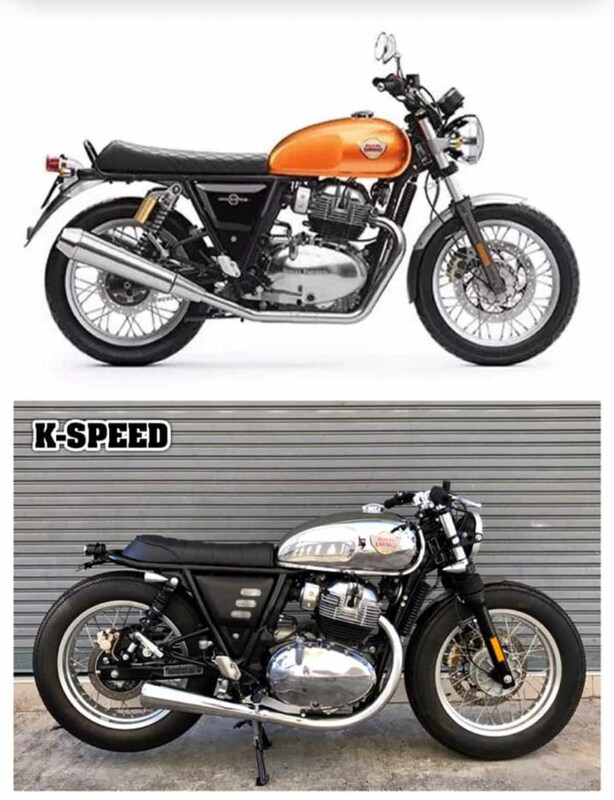 To give the motorcycle a clean look, K-Speed Customs have chopped the rear fender and also fitted a small aftermarket taillamp. 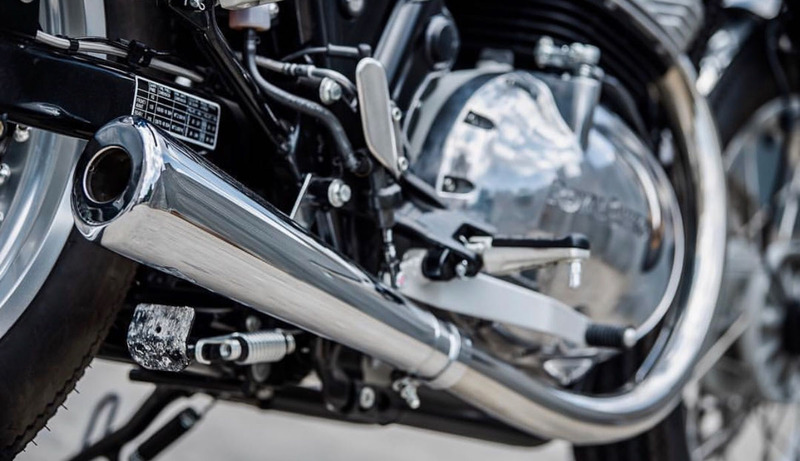 Some other noteworthy changes to the custom motorcycle include a custom exhaust, and chrome plating on the engine. 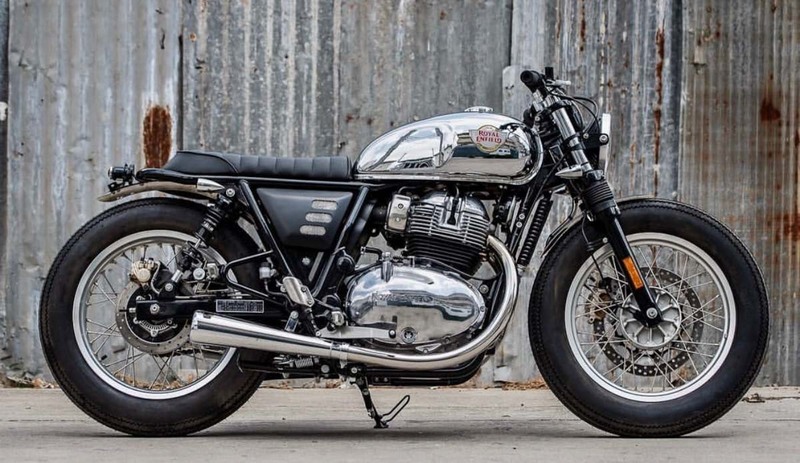 There are no other details on whether the custom motorcycle builder has made any change to the engine or not. 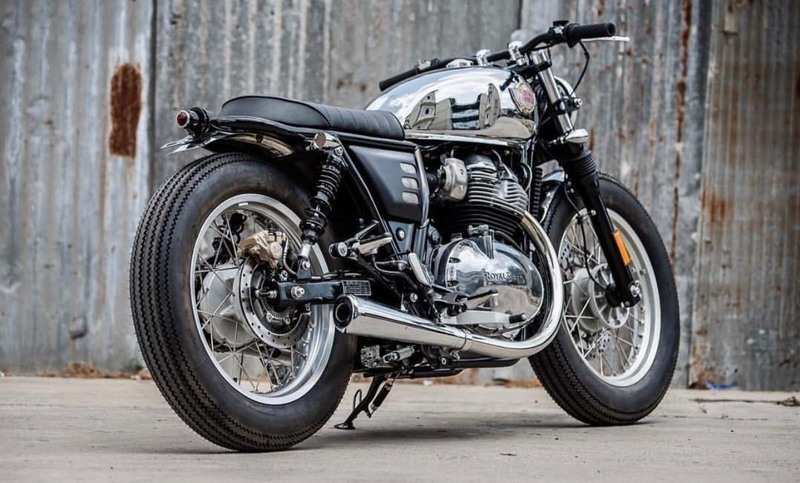 Therefore, we can assume that the Royal Brat still uses the stock 648cc, parallel-twin motor which produces about 47PS of peak power at 7,250rpm and 52Nm of peak torque at 5,250rpm. The engine is paired to a 6-speed gearbox. The motorcycle also gets a slipper clutch as standard. 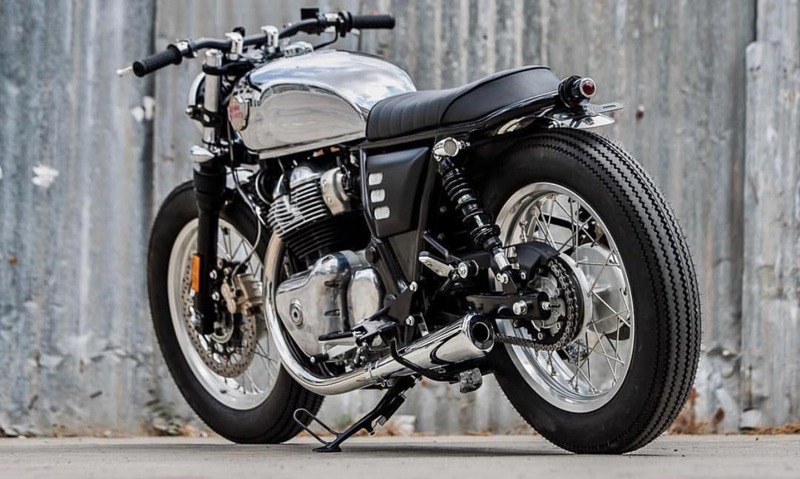 According to K-Speed Customs, the modifications on the Interceptor 650 cost them 80,000 baht (Rs 1.74 lakh Approximately).